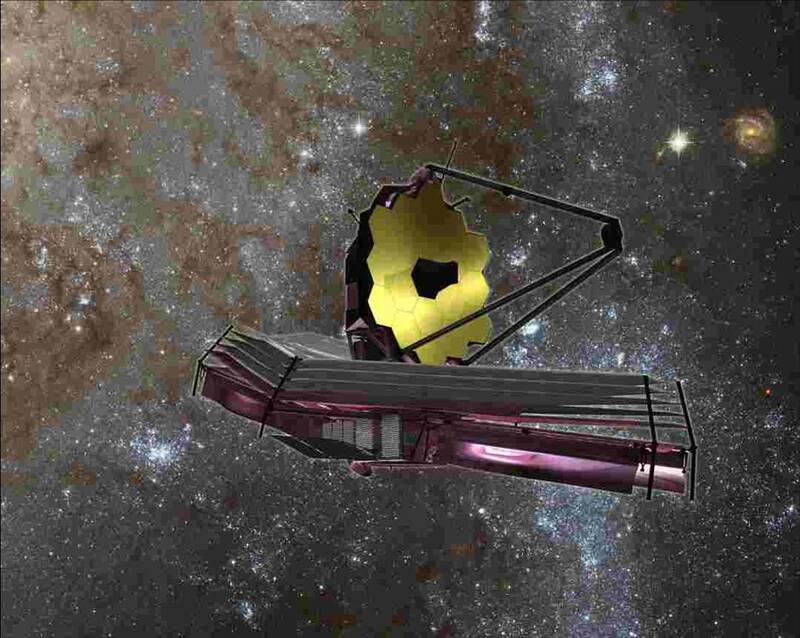 The James Webb Space Telescope (JWST) will be the successor of the Hubble Space Telescope, and is planned to take over in 2018. This is a NASA led mission with the participation of Europe, under the responsibility of the European Space Agency (ESA), and of Canada through the Canadian Space Agency (CSA). The telescope will feature a collecting area 7 times larger than that of the HST and will be dedicated to observe the Universe in the infrared radiation (from 1 to 27 micrometers). Many innovative techniques, including a deployable mirror, have been called upon for the mission. The telescope will provide excellent image quality and a sensitivity 100 times better than that of previous infrared space telescopes (IRAS, ISO, Spitzer). The main scientific goals of the mission include the study of the Universe when it was less than 1 billion years old in order to probe the formation of the first stars, the primordial black holes, the re-ionization of the Universe, the assembly of galaxies, etc... as well as the search for extra-solar planets. Four instruments are attached to the telescope; 3 of them will be operating in the near infrared (the 1-5 micrometers wavelength range) : a camera, a spectrometer, and a fine guiding sensor with a tunable filter. The 4th instrument, MIRI (Mid-Infrared Instrument), operating in the 5-27 micrometers wavelength range, features both a camera equipped with 4 coronagraphs and a spectrometer. On the left : full scale mock-up of the JWST; one can see the main mirror made of 18 hexagonal segments, and the sun shield as large as a tennis court, the purpose of which is to keep the telescope at a stable temperature lower than -220° C. On the right : the verification model of the MIRI imager during inspection at Saclay. (Crédit: CEA/NASA). MIRI is being developed as part of a European/US cooperation programme on the basis of a 50/50 partnership. The European participation, under the responsibility of ESA, is ensured through a consortium of 10 countries: The United Kingdom, France, Belgium, the Netherlands, Germany, Spain, Switzerland, Sweden, Denmark and Ireland. The United Kingdom heads the European consortium. France has focused its efforts on MIRIM, the imager of MIRI. Under contract with ESA, CNES assumes the overall responsibility of the French participation in MIRIM, and committed CEA, through the Service d’Astrophysique of Dapnia to lead the technical aspects related to its construction, on the basis of a 50/50 share of consolidated costs; SAp assumes also the scientific leadership for the French contribution, which includes 4 laboratories: Irfu at CEA-Saclay, LESIA at Observatoire de Paris, IAS at Université de Paris-Sud at Orsay, and LAM in Marseille. MIRIM offers several observing modes, including a coronagraphic mode, which allows to probe the close vicinity of stars and to detect the presence of planets and/or disks around them. 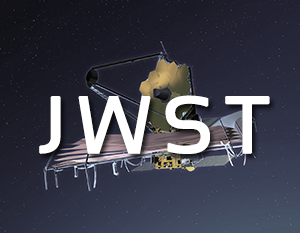 JWST will be launched by an Ariane V rocket in 2018 and will be operating for a minimum of 5 year up to possibly 10 years. This will be the largest telescope ever in space.